Adam Malek, 11th overall, finishing up in top flight. 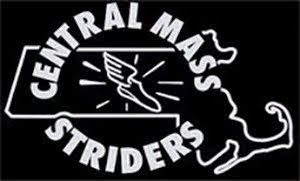 The Central Mass Striders, CMS, traveled to Carver, MA for the USATF New England 5 mile road race Championship. This was race number five in the Grand Prix Road Race championships. The men’s open team finished third behind the Western Mass Distance Project (WMDP) and BAA. CMS placed their top five men in the top 22 overall. Nate Jenkins finished sixteen seconds behind the winner, Brian Harvey, for a 4th overall placing, 24:36. Adam Malek, making his Grand Prix debut, placed 11th overall, 25:26. He was followed by Dan Vassallo and Jim Johnson who were separated by four seconds; 25:31 to 25:35. Scott Leslie rounded out the scoring for the open team with a 25:55. Mike Quintal and Al Bernier were the 6th and 7th men respectively with a 26:13 and 26:56. The CMS men’s masters team placed 2nd in the 40+ age category behind Whirlaway Racing Team by getting the top five men all within thirty seconds. CMS was led by Greg Putnam, 27:15, who held off a fast charging Joe Shairs (27:21) and Dave Dunham (27:22). Dan Verrington (27:45) and Greg Ward, making his masters debut with a 27:53 rounded out the scoring. Tim Van Orden and Dave Mingori were the 6th and 7th men respectively with a 28:04 and 31:10. 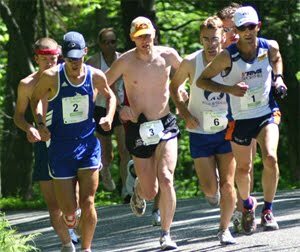 This past weekend was another busy one for CMS runners all over New England. Down in Southern New England, Alan Bernier took no prisoners in the 5.5 mile race in Cranston, RI. 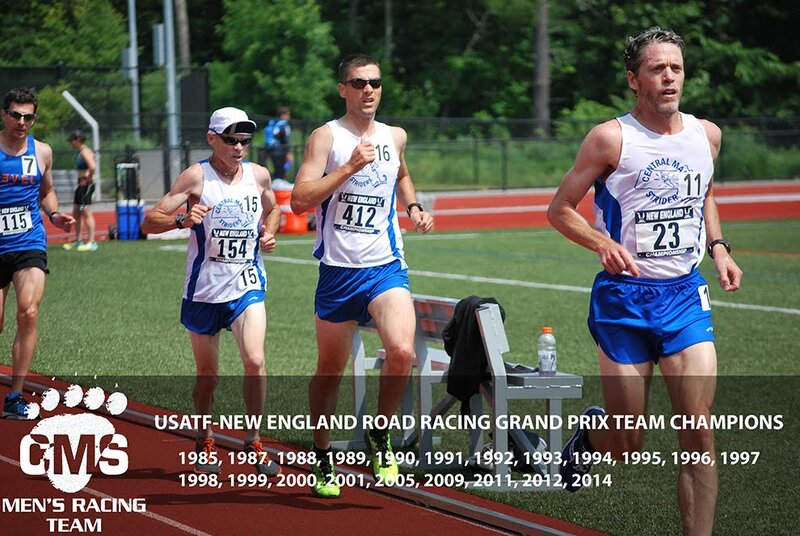 Master (Senior), Dan Verrington scored thirty points all by himself to give the Central Mass Striders a tie for 5th place in the USATF New England Masters Track & Field Championships in Providence Rhode Island. He won the 800m, 1500m, and 3000m in his age group. 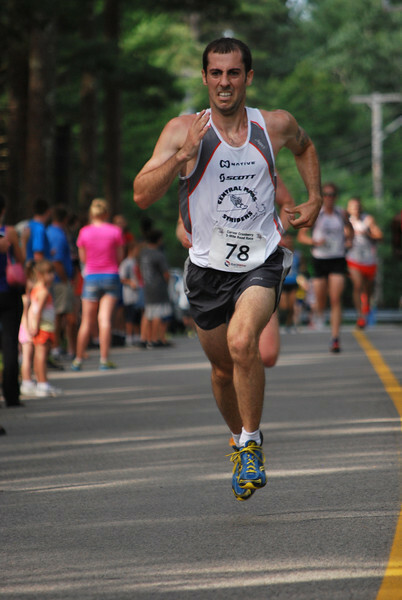 Meanwhile, up North, Chris Mahoney won the challenging Bear Brook Marathon in Allenstown, NH. Jason Porter took a 5K win in Hudson, NH. And Jim Johnson cleaned house in the last mountain series race hosted by Ascutney Mountain in VT. CMS had 4 finishers in the top 5 places with master Dave Dunham finishing just a minute behind Jim. See the details below.